Providing an introduction to fans, their history and how they are made. Designed to showcase the extraordinary richness and diversity of The Fan Museum's collections. 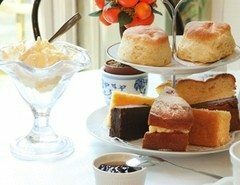 Enjoy a traditional English afternoon tea in the beautiful muraled organery. The buildings that house The Fan Museum are themselves of great interest and beauty. A pair of Grade II listed townhouses, constructed in 1721, have been lovingly and authentically restored to retain their original character and elegance. The later addition on an Orangery, faithful to the architecture of the period, overlooks a ‘secret’ garden in the Japanese style. 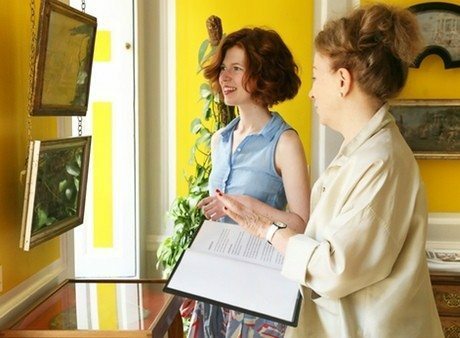 The Museum has cultivated a special atmosphere, perhaps redolent of times past, in which visitors are treated like members of an extended family – indeed, ask a Friend of The Fan Museum and they will be sure to tell you how the Museum feels much like a ‘home-from-home’. We are committed to making our facilities accessible to all visitors. 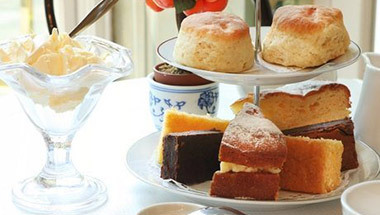 Visitors with disabilities are entitled to the concessionary rate. Carers of those with disabilities are admitted free of charge. The Museum has ramped access, a lift to the Museum’s upper & lower floors, toilets for the disabled with baby-changing facilities, and a cloakroom. A wheelchair can be provided if required. All assistance dogs are welcome but otherwise dogs are not permitted in the Museum or Orangery. 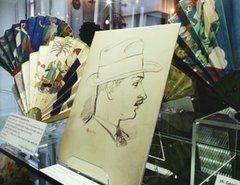 The Fan Museum Trust fan collection is now available to explore online. Our curators can also provide private lectures on any aspect of the history of fans. 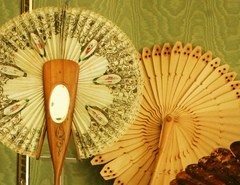 Few art forms combine functional, ceremonial and decorative uses as elegantly as the fan. Fewer still can match such diversity with a history stretching back at least 3,000 years.